This year, make spring break a unique vacation and head to Pittsburgh! This city is filled with all kinds of things to do from shopping, dining, dancing, theme parks and more! Red Roof PLUS+ Pittsburgh East – Monroeville is just 14 miles east of downtown Pittsburgh, 2 miles from Monroeville Convention Center, Sri Venkateswara Temple, and Monroeville Mall. Pittsburgh Zoo, Kennywood Amusement Park and Sand Castles Water Park are only 11 miles away. Within seconds of shopping, restaurants and entertainment. Book now! One of the most dynamic major arts institutions in America, Carnegie Museum of Art features a broad spectrum of arts, from painting and sculpture to film and digital imagery. Less than 15 miles from our Monroeville property. Carnegie Museum of Natural History’s Dinosaurs in Their Time exhibit is the first in the world to feature scientifically accurate environments chronologically ordering the Age of Dinosaurs. Less than 15 minutes away from our property. Come down to Heinz Field and watch the Steelers play in a home game or catch a live event like U2’s the Joshua Tree Tour 2017 on June 7th. Only 15.9 miles away! Bring a date to Monster Mini Golf and watch them glow inside this indoor glow-in-the-dark 18 hole miniature golf course. Be mesmerized by a live DJ and hit the jackpot in the arcade! Less than 5 miles away! Monroeville Convention Center is only 2.5 miles away from our hotel. Satisfy your wild side with Pennsylvania’s Kennywood Amusement Park! With 30+ roller coasters and water rides, this attraction is less than 15 miles away. Explore the Pittsburgh Zoo, located in Pennsylvania’s Highland Park, with its vast variety of animals and its state-of-the-arts aquarium. Only 13.8 miles away. Phipps Conservatory and Botanical Gardens – Begin your journey in the LEED®-certified Welcome Center before entering their exquisite 1893 glasshouse with ever-changing displays. Continue on to the Tropical Forest Conservatory and the Center for Sustainable Landscapes. Only 12 miles away! Grab a bite to eat at home town favorites and great chains like Max & Erma’s (across the street), Outback Steakhouse (.2 miles), Gateway Grill (.2 miles), Primanti Brothers (1 mile), Rivertowne Pour House (1 mile) and Udipi Cafe’ (2.5 miles). Stay close to campus during your visit at Red Roof Plus+ Pittsburgh East – Monroeville. A short drive from Carnegie Mellon University (13.6 miles), the University of Pittsburgh (13.7 miles), Duquesne University (13.9 miles) and Seton Hill University (19.9 miles). With all there is to see and do in Pittsburgh, you are sure to have an exciting break! 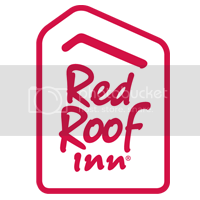 Make sure to get the most out of your travel experience by staying with budget friendly and pet friendly Red Roof PLUS+ Pittsburgh East Monroeville. Discover an enhanced experience with all new rooms, verified Wi-Fi and our most requested higher-end amenities. Enjoy a new boutique design, new furniture, Rest Suite beds by Serta, high-end bedding, modern flooring, and flat-screen TVs. Book Now.